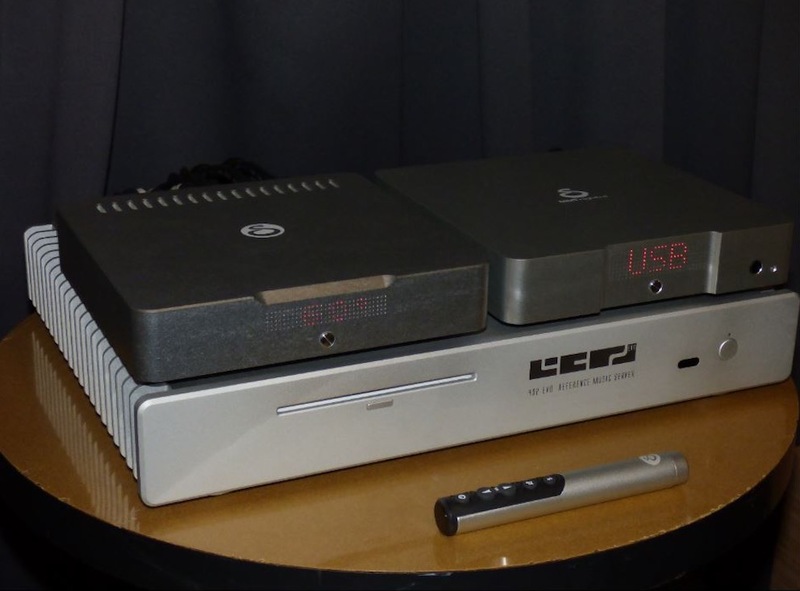 RICHARD VAREY goes hands-on with the 432 EVO Standard music server and discovers a way to make music both pleasanter and healthier. Does the 432 EVO Standard music server render music in a form that is both pleasanter and healthier? For that is the claim for live re-tuning, and that is what this somewhat unusual device does. This is not a normal music player/streamer. 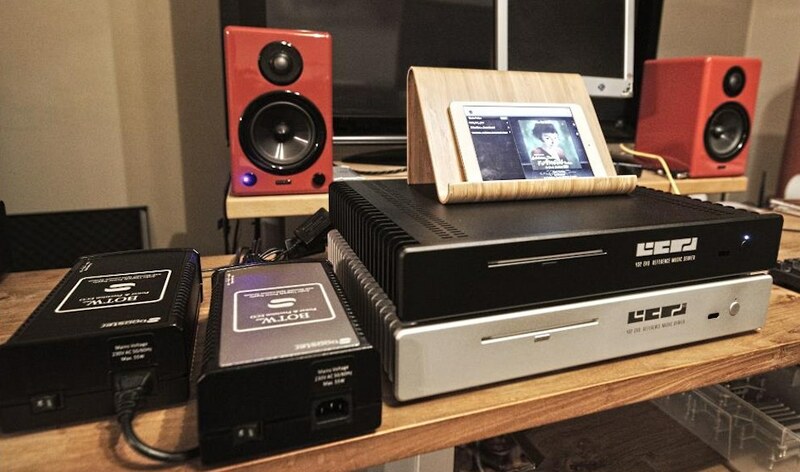 It’s one of several versions, in this case a standard high-end all-in-one silent running network player and internet streamer with optional 432 Hz live ‘re-tuning’ (using a proprietary software DSP), high quality CD ripping (FLAC), and hard drive storage. It plays audio files in (almost) any format (PCM and DSD) from the internal drive or a network-attached storage device through digital outputs to an external DAC. It streams from (almost) all internet services, including Roon, and internet radio, and it’s a file server using the SMB sharing protocol. It has two built-in Logitech Media Servers (LMS). Output is from HDMI and USB 2.0/3.0. The High-end, Aeon and Master models have a dedicated USB3 card which is powered independently. The High-end model has a normal clock, and Aeon and Master models have a superclock version. All models have a combination of ‘standard’ USB2 and ‘advanced’ USB3 ports on the mainboard, and the High-end, Aeon and Master have a dedicated USB3 card for audio, although most DACs use USB class audio 2.0. Play operation is entirely silent, and it’s quiet when ripping from a disc – an album takes typically 10-15 minutes. The unit needs an Ethernet internet connection for access to online music metadata databases, software updates and for local network control using an app or web browser interface, as well as for connection to external storage. All the features are basically functional, and looking at the unit straight from the box, it wasn’t evident what was in store for my audition. There’s no flashing lights or remote handset. The music/psychology background to 440 Hz and the alternative 432 Hz frequency tuning and the thoughts of the 432 Hz movement on health and spiritual benefits can be found on the Evo website and elsewhere. In short, some listeners experience music played at the 432 Hz tuning to be more harmonious than that tuned at the conventional 440 Hz. I’m more interested here in the possibility of enhancement to my listening experience than the theory of pitch shift and the politics behind the history of tuning standards. Briefly, the 432 EVO processes a signal (from the onboard drive, from network storage, and from streaming input) to shift the pitch without introducing digital ‘corruptions’. This is genuine re-tuning or transposition. EVO don’t use the typical pitch shift method, which lowers the pitch and keeps the duration of the track identical to the original. This method was tried years ago and it sounded fake with acoustical music. The EVO method is the same as slowing a record player, but combined with upsampling. So instead of pitch shift, the EVO does rate shift, which lowers the pitch, but also increases the duration of the track accordingly. This is the only way nothing is lost. This method was field tested on a band’s first album. The upsample algorithm can be selected by the user, and EVO apply special recipes including Archimago’s intermediate phase, but also more conventional methods such as linear phase and minimum phase. Intermediate phase combines the best aspects of linear and minimum phase, without the phase shift of minimum phase. It almost has no pre-ringing. Thus the EVO has 10 of these recipes to choose from, or you can use the bit-perfect mode for purists. The EVO has two music servers embedded: a recent Logitech Media Server with plugins for Tidal, Qobuz and Spotify and internet radio; and a full Roon Core which is currently 1.5, but users can keep upgrading their Roon version for free when they have a license (which has to be obtained independently from 432 EVO). Switching between LMS & Roon is supported within 10 seconds, using custom modifications to the vortexbox web interface. For Roon, users need to buy a license, whereas for LMS, it’s open source, so there’s no additional cost. You can start with LMS and switch to Roon later. So, the EVO is not a Roon endpoint, but a real full Roon server (i.e. Roon Core). The manufacturer promises ‘the sound will be more enjoyable, there will be more clarity, less fatigue. The sound will become more analog and have qualities unseen in any digital solution’. I can confirm that the sound quality heard is superb. I played ripped files and also files stored on external drives connected via Ethernet. The re-tuning alters the ‘flavour’ of the sound, rendering it more natural. To audition the 432EVO, I ripped several of my well-known albums from CD, and listened to each from the disc played in my SACD player, then from the player/streamer. I used the unit with the pitch shift operating, and experienced very pleasant sound, not lacking solidity or detail, and I preferred the more relaxed, smoother, warmer sound. My music came across calmer, less harsh or strident. This is the essence of the 432 EVO, that it renders music at the alternative tuning, without losing resolution and detail. Overall, I preferred the sound produced by the 432 EVO over my Pioneer SACD player. It was a peculiar first experience – as the pitch is discernibly lower – it seemed at first like the music was playing unnaturally slower. We tend to equate pitch change with speed change. If you use a record turntable, you’ll appreciate what I mean. After no more than two minutes of focused listening, my hearing acclimatised, then it no longer sounded at all odd to hear voices and instruments at the right tempo and yet at a clearly lower-pitch than I had heard the music played at so many times before. I should point out that this has been my first experience of re-tuning my favourite music, some of which I’ve played many times over several decades. The 432 EVO delivered a definite ‘ah’ feeling of relief, comfort, relaxation. The unit I auditioned is a sombre standard 43 cm black box (it’s also available in silver). The front panel carries a very discrete flush on/off button, a slot for CD insertion, and the 432 EVO logo. The sides sport quite large cooling fins. I noted that the unit runs very cool at all times. The units are hand-assembled, build quality is very good, and the finish somewhat plain. It’s no frills, and somehow that seems just right for the spirit of the ‘natural’ pitch change ethos. 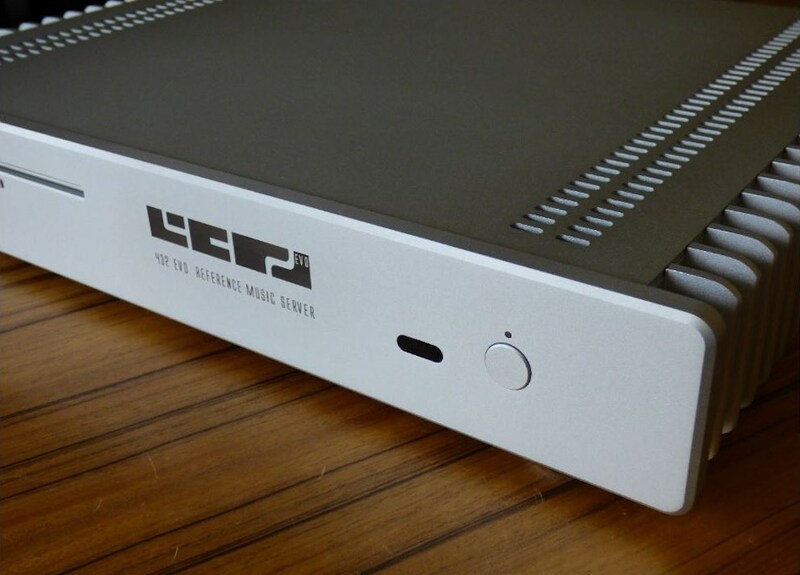 Inside the box, the designers have incorporated high-specification drives mounted on vibration-damping spring suspension, an oversized external audiophile linear power supply (from Sbooster), electrical noise filtering on cabling, and software jitter reduction. The designers have taken great care in the selection and mounting of the CD drive – it’s all about quiet and accurate operation. Of course, it’s only in use for file ripping from discs, so it was never obtrusive. Ease of use is outstanding. Plug it to the mains and Ethernet, and switch on. That’s it. CD ripping is equally easy. When a disc is presented in the slot, it is pulled into the unit and ripping is done automatically. The disc is ejected on completion. On the higher-spec model, you can choose how you want your music files to be presented, with the USB2 output delivering a somewhat relaxed sound, whilst the USB3 output is livelier. 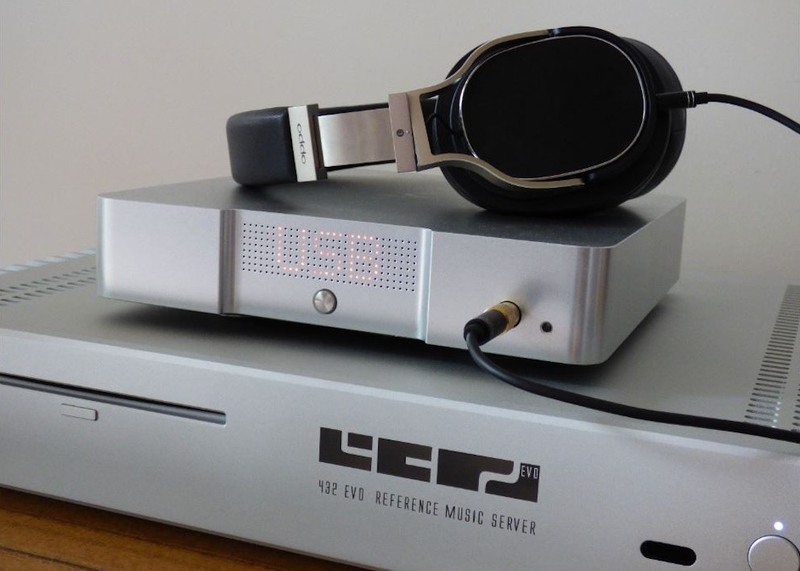 The higher-spec models include dedicated USB boards, powered independently from the mainboard, for connection to your DAC, and are all USB3 standard, although most DACs use only USB2 transfer. Because this is a dedicated card, the sound is even more refined. I used an Android app for control, and experimented with several, including Squeeze Control, InnoPlay, BubbleUPnP, and the recommended Logitech Squeezebox Controller (which is now no longer updated) and Squeezer. The latter was very effective for playing files from the internal storage, whilst only Hi-Fi Cast allowed me to play files from a selected library located on an external hard drive. There’s also a simple ‘vortexbox’ web interface with comprehensive control and a range of set-up options, including the option to switch the re-tuning on/off and to set other alternative tunings. Apple iOS control of the Logitech Media Server is also an option. The 432EVO is positioned as a high-end comprehensive streamer, ripper, and server, with the added value of the currently unique re-tuning option. As such, it is priced very attractively, thus delivering very good value for money. If seeking a music server/player/streamer, I would consider this product to be a front-runner, for the sound quality, ease of use, and 432 Hz re-tuning capability. The 432EVO is available from Critical Sound Information, Hastings. As usual my thanks (Music & HiFi Appreciations) to Richard for time and effort expended exploring EVO’s various options. And Gary for maintaining Witchdoctor – purely in the interests of Audio & Music – not Money (it should be noted). Frederic extends his thanks from Belgium and whilst all may not be 432 inclined – for many it has found ‘harmonius’ favour. Since Review, Roon 1.6 has been announced offering more functionality. Cheers and best wishes from Sunny HB.